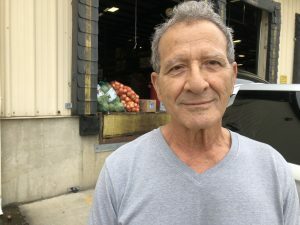 For the past 28 years Radwan Jarrouj has been an indispensable part and an unsung hero of the Syrian Arab American Charity Association (SAACA) food bank program. The SAACA food program serves over 300 families on a monthly basis in Allentown’s 1st and 6th ward communities and is the only program serving the region’s growing Arabic speaking population. Many in the organization feel that this critical program would most likely not function without the diligence and commitment of Radwan’s volunteer efforts. Since his retirement from Bethlehem Steel, Radwan puts in 20 to 30 hours of volunteer service on a weekly basis. Often working by himself, Radwan picks up the food and also serves the families. The Alice Anne Miller Hunger Hero Volunteer Award is presented to an individual who demonstrates an exceptional commitment to hunger relief in our local community. The recipient of the Alice Anne Miller Hunger Hero Volunteer Award is a devoted volunteer at one of Second Harvest’s member agencies. This Hero has dedicated countless hours to improving the well-being of our most vulnerable neighbors. The recipient of this award has been nominated by Second Harvest’s network of member agencies. Alice Anne Miller was a driving force in the mission to end hunger in our community. In 2001 Alice Anne helped create Second Harvest Food Bank’s Empty Bowls Dinner. Alice Anne was a true champion for change, and an earnest advocate for the vulnerable among us. Alice Anne spent her life seeking to provide a way for everyone to connect and participate in our community. Her peaceful presence and deep commitment to the Lehigh Valley and surrounding communities benefited many nonprofit agencies and those they served. Alice Anne was a true friend to all who resided in the Lehigh Valley. Here, her legacy will live on through the Alice Anne Miller Hunger Hero Volunteer Award.